This bleakly uncompromising sequel to the 2015 thriller misses the warmth of Emily Blunt and the vision of director Denis Villeneuve. 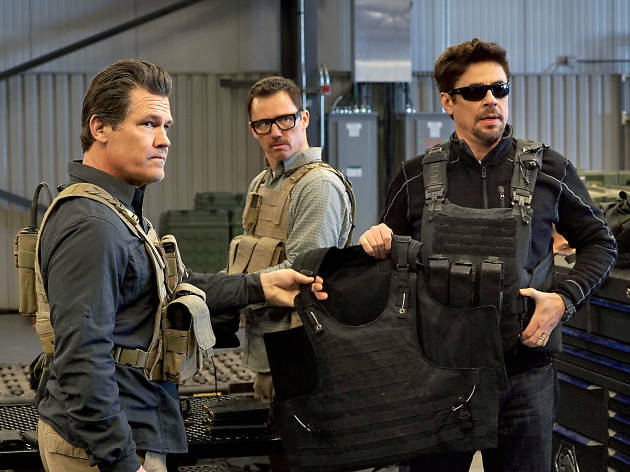 Sicario, the grisly 2015 narco-thriller about an FBI agent on a black ops mission in Mexico, combined slam-bang action with PhD-smart analysis of the moral ambiguities of America’s war on drugs. Now here’s a sequel, missing key players: actor Emily Blunt, director Denis Villeneuve (Blade Runner 2049) and cinematographer Roger Deakins have all bailed. 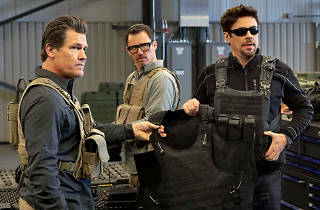 Sicario 2 is decent enough, but you can’t deny the weapons-grade star power is gone. We’re back on the Mexico-US border where the drug cartels have upped the ante: now they’re trafficking Islamic terrorists alongside immigrants. (In a horrible scene at the start a suicide bomber blocks the door of a supermarket in Kansas City while a woman clutching a little girl begs him not to detonate his bomb.) Josh Brolin is CIA agent Matt Graver. He may look like a stoner dude, but Graver is the guy the US government calls to do its dirty work on foreign soil. His response to the terrorist attack is to plot the kidnap of a Mexican cartel boss’s teen daughter and start a gang war. Director Stefano Sollima (TV’s Gomorrah) and writer Taylor Sheridan bring authentic-feeling details to the film and we get more Benicio del Toro as Alejandro, the prosecutor-turned-assassin determined to avenge the murder of his family. Del Toro is the Ernest Hemingway of screen badasses: the less he says the better he is—he does his most convincing work while looking like he’s about to nod off. Sicario 2 sets up a future installment centered on him: that sequel will be a must.